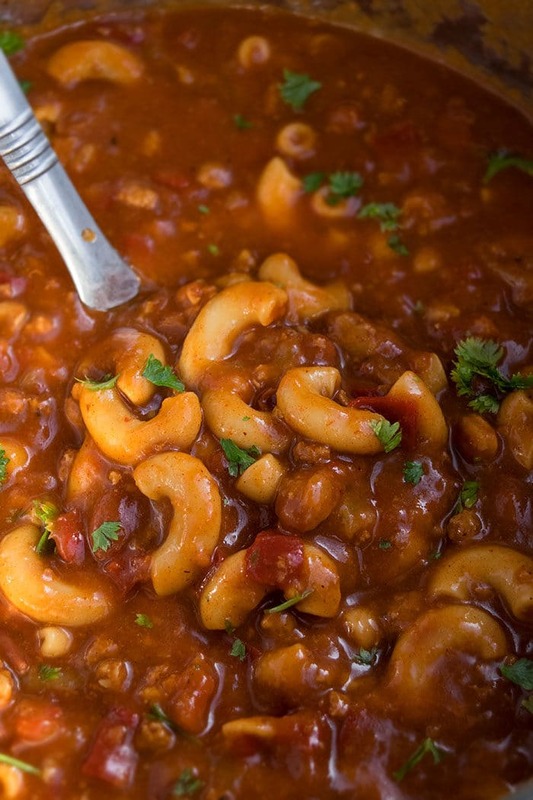 Quick and easy chili mac recipe, made with simple ingredients in one pot. This 30 minute meal is loaded with beans, ground beef, tomatoes and cheese. This rich, creamy, cheesy stovetop meal brings together two old fashioned, classic comfort foods: One Pot Easy Chili Recipe and One Pot Mac and Cheese Recipe. 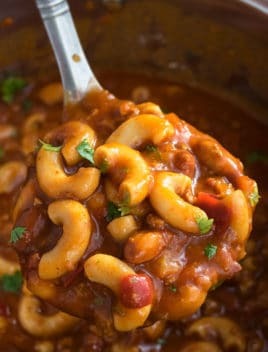 How to make homemade chili mac recipe? How do you make easy chili macaroni and cheese? Min tomatoes, beans, seasoning, milk, cheese, macaroni. Then, uncover and cook until liquid is reduced/absorbed to your desired consistency. Top off with more cheese until melted. How do you make best vegetarian chili mac and cheese? Use vegan ground beef or replace it completely. Add 1 cup frozen vegetables. The rest of the recipe is the same. 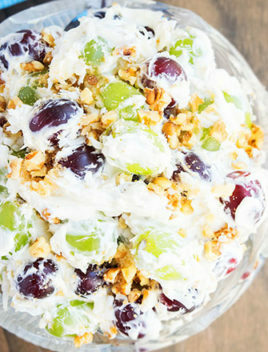 Black olives– Not a traditional topping but I love it. Beef– ground beef is best and be sure to drain fat to prevent meal from becoming too oily/greasy. Herbs and spices– Homemade or store-bought chili seasoning is best but taco seasoning can be another great choice. Milk– Use whole milk because it has a higher fat content. Some people also replace that with low sodium chicken or beef broth but milk makes it creamier. 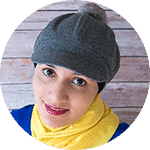 Cheese– There is a huge variety to choose from but I highly recommend cheddar and colby jack cheese. Mexican cheese blend is another great choice. Use a nonstick pot and stir often to prevent sticking and burning. Adjust the amount of chili seasoning, based on your preference. 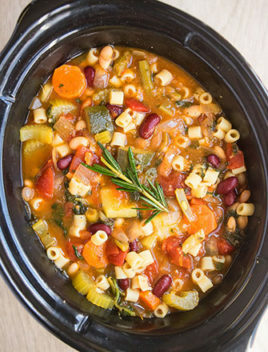 Use any other small pasta of your choice instead of macaroni but note that it should be uncooked. It cooks and becomes tender as it absorbs the liquid. If everything looks too thick at the end, add a little broth or water to thin it out to your desired consistency. If it’s too thin, cook uncovered on high heat until liquid is reduced. 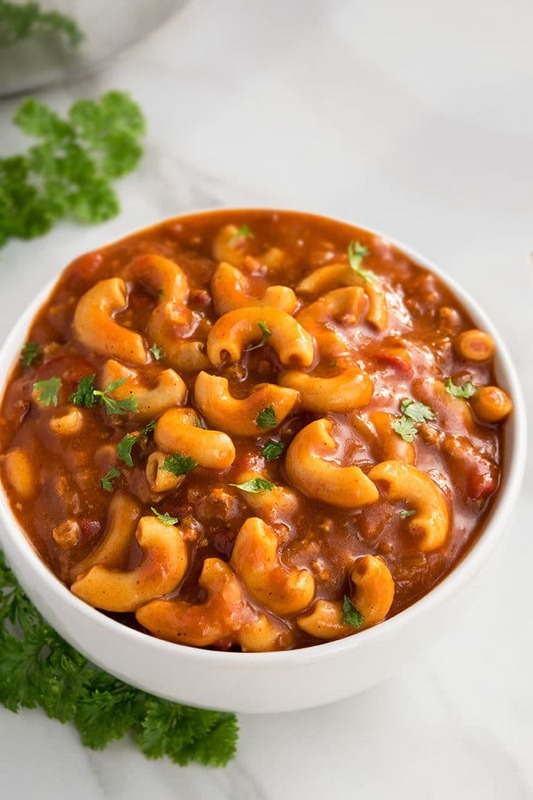 Slow cooker chili mac/ Crockpot chili mac– Add browned beef and all the other ingredients, except for the pasta in a crockpot and cook on high for 4-6 hours. In the final 20 minutes, stir in the uncooked pasta and cook until tender. 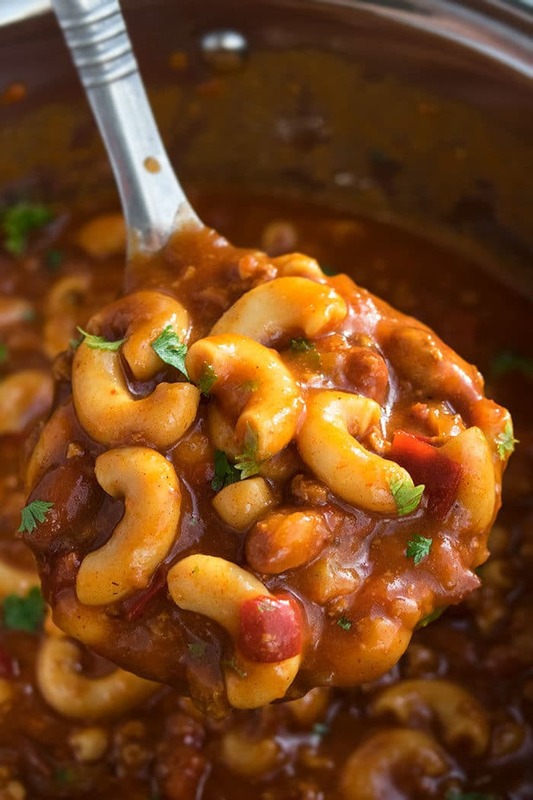 Chili mac soup– Add 1-2 cups chicken or beef broth (low sodium) to thin it out into a soup consistency near the end and bring to a boil. 1 packet Chili seasoning 1.25 oz. Heat oil in a large nonstick pot over medium-high heat. Add beef, onion, garlic, salt, pepper and cook until beef is cooked and no longer pink. Remove from heat and drain fat/grease. Add beans, tomatoes, tomato sauce, chili seasoning, cumin powder, milk, macaroni, half the cheddar cheese, half the colby jack cheese. Mix, cover and cook for about 10 minutes over medium heat. Then, uncover and cook for another 6-10 minutes or until pasta is tender and liquid is reduced/absorbed. Stir often to prevent sticking and burning. Top off with the remaining cheddar cheese and colby jack cheese. Mix. Garnish with roughly chopped fresh parsley and enjoy. 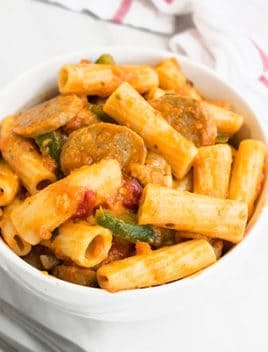 Do not freeze this meal because pasta does not thaw well and tastes weird. However, you can brown and beef and mix together all the other ingredients and freeze that. 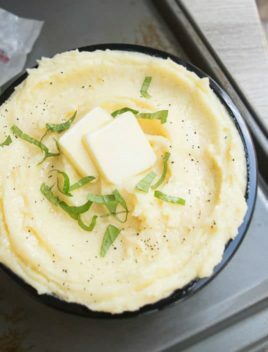 When you are ready to enjoy this meal, add the frozen mixture in a large pot and cook it over low heat, covered, until it thaws. Add the macaroni and cook until it’s tender.